Malgudi. A place so familiar in name, but never existed since it is a fictional town created by a famous writer in India. Though the name is fictional, the taste of food in this restaurant is beyond real. A beautiful looking restaurant which is in Petaling Jaya, ran by an owner whose love for the F&B and the constant travelling to India made her venture into the world of Indian spices and subsequently stumbled onto managing this restaurant. Not only do they have an array of awesome meals to offer, but they also have awesome personalities. For example, typical restaurateur looks at competitions as something negative but here, they welcome competition as to have find it healthy; they find that it evokes the creativity in them and make their dishes more innovative and unique. Every good restaurateur knows that the ingredients they use in their cooking is very important, Likewise, Malgudi know that every spice they use is important and to maintain its freshness they source it from anywhere the quality is known to be the best. Almost half of their ingredients are directly imported, to maintain the high quality and the consistent taste. Attracting all kind of crowds, they also offer catering, options to book for events and so much more. So, let us talk food now. We tasted many dishes. When we say many, it’s truly many. Since writing about them all is going to make this review a few hours read, this writer picked out a few of her favourites to write about. The first and also the best dish ever, is their biryani. Of all the biryani we were served, the prawn biryani and the mutton biryani are the finest. The perfectly seasoned, sweet yet savory delicacy is not only different than all the other biryani you would have had, but it is also the most delectable food there is. 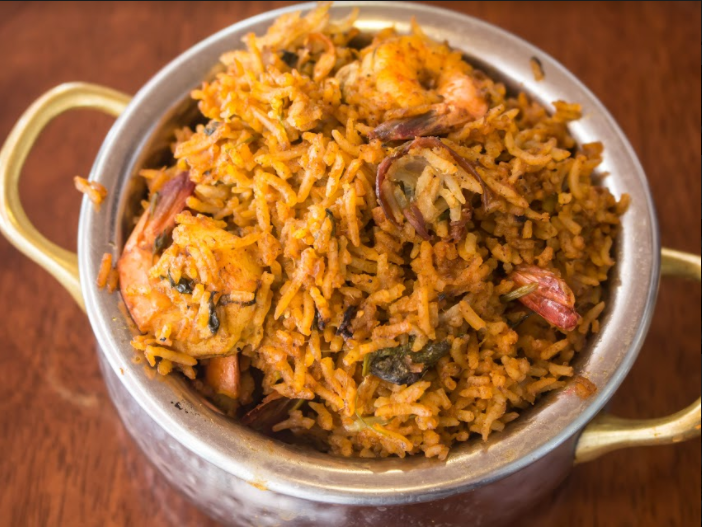 The succulent and generous serving of prawns that absorbed all the biryani goodness and made each bite more satisfying than the one before is as good as the generous portions of meat that are so tender and succulent in the mutton biryani. We paired the biryani with some egg podimas. It was seasoned to perfection, tasting zesty and warm; excellent pairing with the biryani. For some crisps, we tried the chicken tikka, fish tikka, paneer tikka and also the mushroom tikka. The tikka masala was so well seasoned and came out really crispy. The meat was tender and fresh as they never use any kind of frozen meat and make sure all their ingredients are the freshest, which reflects on the taste of the dishes. 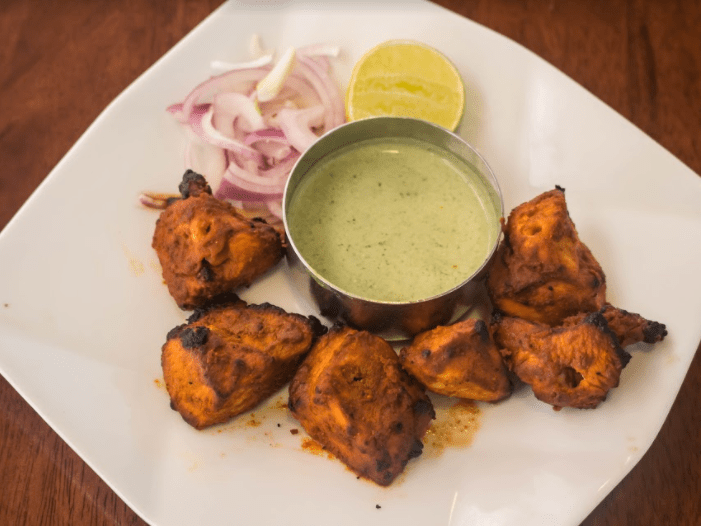 However, the paneer tikka was the one that caught our attention. 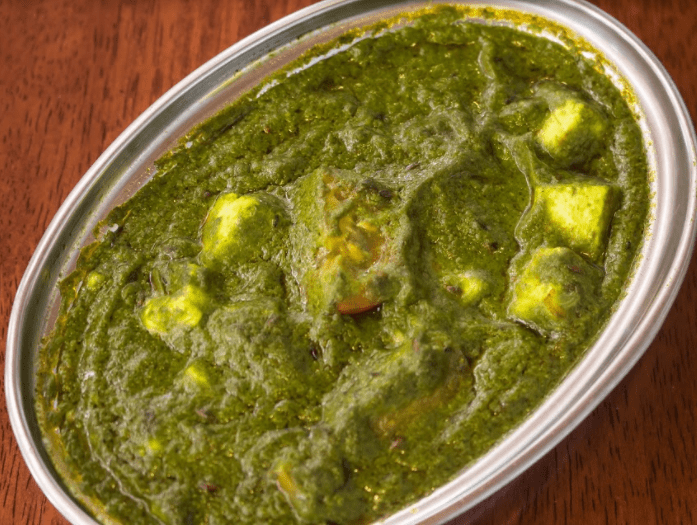 Unlike any other paneer that you have tasted before, this paneer is purely homemade. 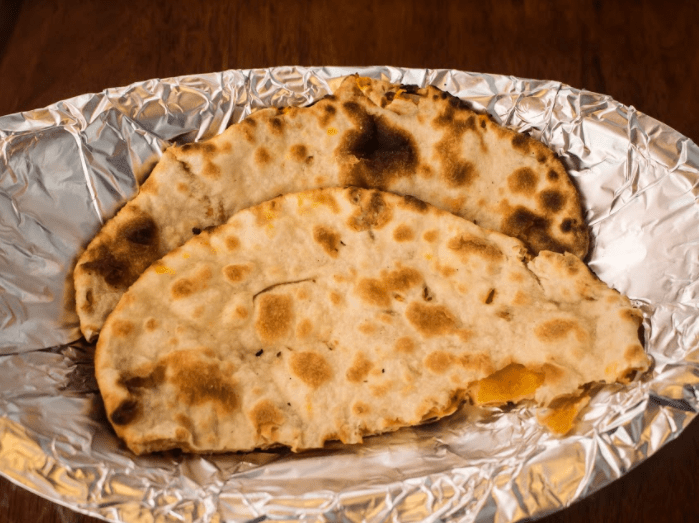 All ingredients are sourced freshly to make the paneer in-house and the burst of flavors is evident with each bite. Not only it’s soft, it’s also so buttery and creamy. This is perfectly suited for young children, especially the toddlers as it has no preservatives and has the perfect textures which doesn’t require teeth to chew. We then tried some prawn varuval. This is basically prawn stir-fry, Indian style. 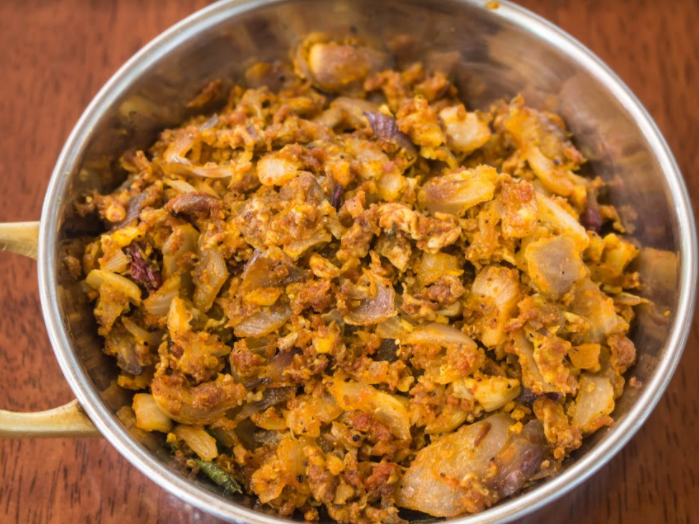 The use of onions that have a hint of sweet and savory reflects the Tamil Nadu style dish well. This dish reminded this writer of her grandmother’s cooking, a taste so close to home. A must have dish, when you visit Malgudi. Pair it with a healthy and fluffy unleavened bread made of wheat flour with little shortening toasted over a griddle till lightly roasted. It can also be eaten with the peppery ‘Kanava Mezhaguu Masala’ that truly packs a punch but equally delicious. Otherwise, you can also have it with either the prawn masala or the chili paneer. One being a delicious seafood bathing in appetizing plate of gravy and the other being a Manchurian-styled sweet and sour cottage cheese dish. To try something different, we had the jeera rice with some Chettinad Fish Kozhaambu and Paneer Palak. The Paneer Palak seeming so refreshing and delicious, well suited with the herby jeera rice that is cumin-flavored rice which doesn’t have an overpowering taste. The ‘Chettinad Fish Kozhaambu’ is a fish gravy that is made Tamil Nadu style that is a favorite among lovers of spicy and well-seasoned meals. Another favorite dish, especially amongst meat lovers is the Mutton Varuval. The soft, piquant meat that is odor free, melts in your mouth with its tenderness and made of pure protein as they make sure no excess fat is on the meat. 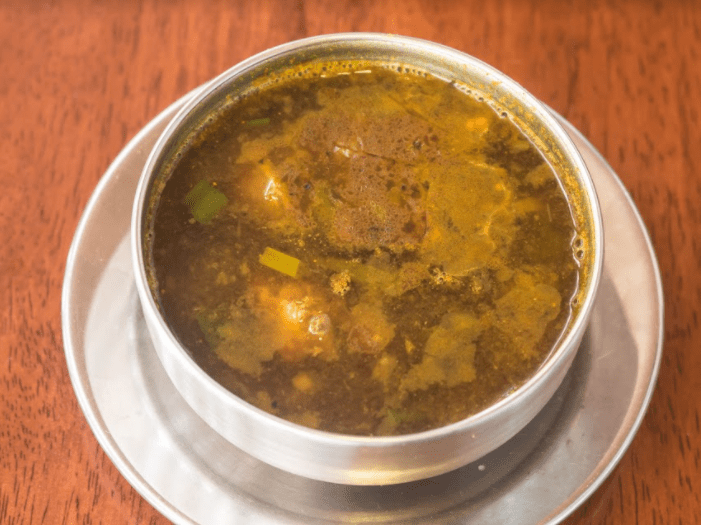 We also tried their famous soups that are the Crab Rasam and the Mutton Bone Rasam, both which have medicinal properties that are not only delicious but also has a faint spiciness that doesn’t overwhelm the amazingness of the rasam. Last but certainly not least, we had some Chana Masala to accompany all the Tandoor Masala we had. The meat tandoors were remarkably soft and succulent whilst the paneer masala was chewy and delicious. It had a different kind of taste that can easily distinguish all other tandoors. The neither too sour nor charred, perfectly flavoured fresh ingredients are the plus point here, along with the beany and earthy flavoured Chana Masala that does not only taste amazing but is also healthy. A point to note, healthy eaters!